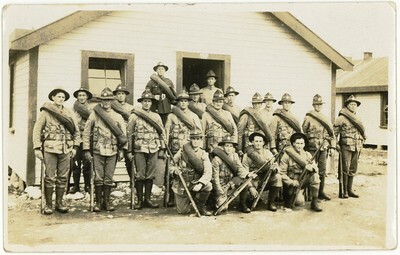 World War I soldiers in training. This is a COMMITTEE ONLY planning meeting for the second half of the year. Committee members will be advised of time and place. IDEAS for places to go and interesting people to listen to would be welcome. 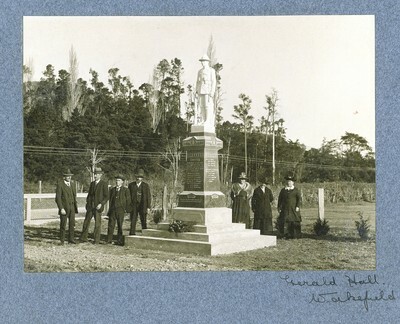 We need to think about all the possibilities for remembering the lives of people during World War I and how we can best remember how the people back home coped while the men were away overseas. These events would begin in 2014 – the 100th anniversary of the outbreak of war- and continue until 2018 when the Armistice was signed. 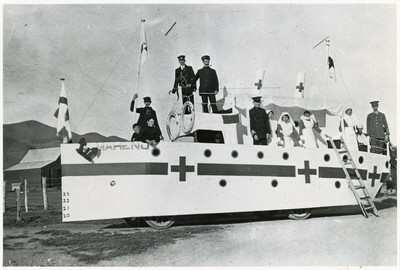 Hodson’s hospital ship parade float. Wakefield war memorial in a corner of the domain.